Bison Football made a significant announcement on Feb. 7, as they proudly announced the signing of local quarterback prospect Ryan Marsch. After playing high school football at Sturgeon Heights Collegiate from 2006-08, Marsch moved on to play for the Winnipeg Rifles in the Canadian Junior Football League (CJFL) for three years (‘09-‘11). Marsch had a phenomenal year in 2011. He completes 192 passes out of 307 attempts, culminating in 3030 yards passing (a CJFL record), 31 TD passes and an average of 379 passing yards per game. 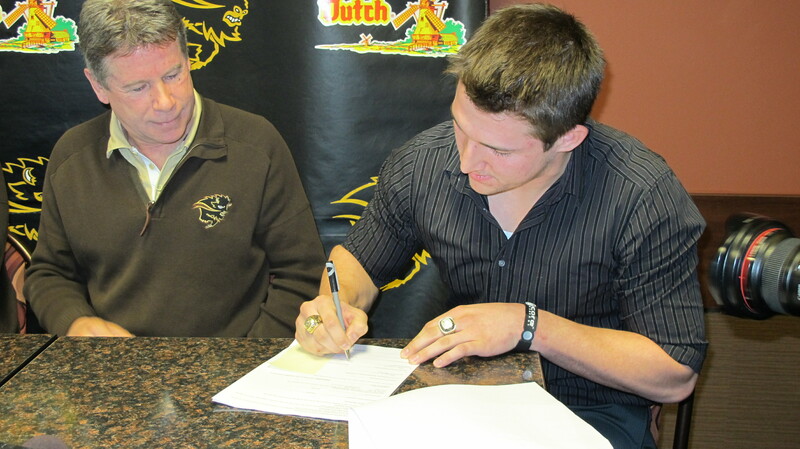 For his efforts, Marsch was named the 2011 CJFL Most Outstanding Offensive Player, the Prairie Football Conference Most Valuable Player and was a runner up for Manitoba Male Athlete of the year for 2011. For more coverage on the signing, make sure to pick up the next issue of the Manitoban, on stands Feb. 15.